Church attendance in the country has declined by this year, and according to former Philippine ambassador to the Vatican Henrietta de Villa, it is the church's failure to sustain values formation in the youth that can be pointed out as the reason for such decline. "[Young people] don't feel that it is important to attend Mass on Sundays," de Villa said. A survey by the Social Weather Stations on March of this year noted that the proportion of those who attend religious services weekly was lowest among Catholics at 41 percent. 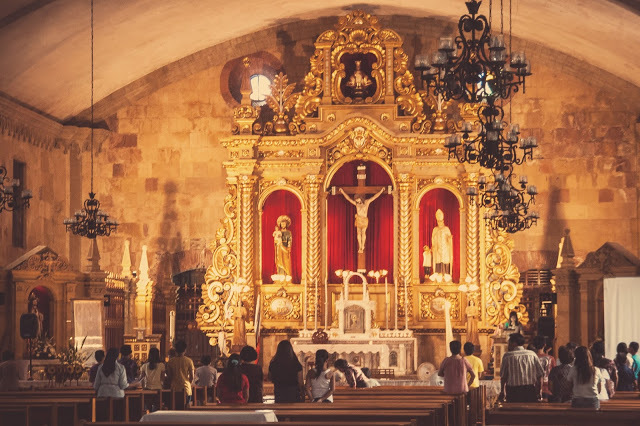 Results of the SWS survey which used interviews with 1,200 people, showed that Catholics are the least active among Filipino groups in attending weekly religious services. De Villa said the result of the survey shows the importance of a "solid Christian family" that can guide the so-called "millennials" in the practice of their faith. She said that she is thrilled by the growing number of Filipinos who said religion is "very important" to their lives, "it is sad that few people are going to church." She said, "It is very important that families should start to form their children in faith while they are young." De Villa said that priests should give more meaningful homilies. Meanwhile, Archbishop Emeritus Oscar Cruz of Lingayen-Dagupan said "family and life apostolate" should be strengthened as "It will have a big influence on people." Archbishop Crux also blamed the proliferation of modern technology and other recreational activities as among the causes of Filipinos' declining interest in church activities. Of the surveys on church attendance conducted by the pollster since 1991, weekly attendance at religious services has always been lower among Catholics.The highest recorded annual average weekly church attendance among adult Filipinos was recorded in 1991 when the Philippine Catholic Church held its Second Plenary Council.